He was one of two co-founders of Pre-Dental Society at UCSC. Influenced by his past experience as a leader for a Pre-Heath organization, he envisioned a place for pre-dental students to connect and support one another throughout their undergrad journey. Alongside his founding board, he established Pre-Dental Society at UC Santa Cruz in 2007. Dr. Heath was originally a transfer student from Cerritos College before continuing his studies with University of California, Santa Cruz in 2006. In 2014, he later graduated and received his D.D.S degree from the University of Michigan School of Dentistry. During his dental education, he was involved in many organizations: Hispanic Student Dental Association, ASDA, Student National Dental Association, and Alpha Omega. Dr. Heath bears a strong passion in working with underserved communities. He completed a 2-year General Practice Residency Program in Fresno, CA at Community Regional Medical Centers and Veterans Affairs Hospital. Following this accomplishment, he is now working in his new position at Family Healthcare Network in Tulare. One of our founding members. She graduated from Cowell College, UC Santa Cruz in 2009. She went and received her D.D.S at Loma Linda University School of Dentistry. She later completed a one year Post-Doctorate Hospital-based residency at Harbor UCA/MLK-MACC. Dr. Watanakeeree is currently working for Yosemite Dental Care in Mariposa, CA. Dr. Patiño attended the University of California, Santa Cruz (UCSC) from 2004-2008. In 2008, he earned a B.S. in Health Science and was a member of the Slug’s men’s basketball team in his final year. While at UCSC, Dr. Patiño developed a passion for the recruitment of underrepresented minorities into higher education. He was active with on-campus clubs/events such as C.H.E, ChALE, and ORALE. After his graduation from UCSC, he attended University of California, San Francisco and he received his D.D.S. in 2012. While at UCSF dental school, he held many leadership positions, including a national position with the American Dental Education Association (ADEA). This national position also involved the recruitment of underrepresented minorities into dentistry and he contributes his success in this position to the experiences he had at UCSC. 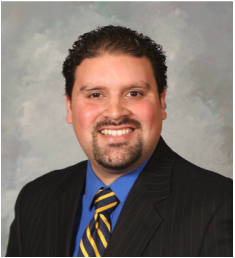 Upon graduating from dental school, Dr. Patiño chose to enrich his dental education by pursing his passion of orthodontics and applying to residency. He matched at his top residency choice, UCSF Orthodontics. While in residency at UCSF he was the chief resident and received the Colgate-Palmolive Company Dental Residency Scholarship from the Hispanic Dental Association (HDA). In 2015, he received his Orthodontic Certificate and he also completed his thesis on “Treatment Outcomes utilizing TADs for Mandibular Dental Distalization” receiving his M.S. in Oral and Craniofacial Sciences. Dr. Patiño currently works at Olympic Orthodontics in Dublin, CA and at Dr. Ellenikiotis and associates in Saratoga, CA. He plans to become American Board of Orthodontics certified in Feburary, 2017. He welcomes any inquiries of pursuing a dental career including specialization. 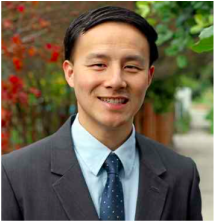 Dr. Kuo was born and raised in Santa Cruz. He graduated from UC Santa Cruz in 2008 with a degree in Biological Sciences. Afterwards, he completed his DDS degree in 2012 at UC San Francisco School of Dentistry. 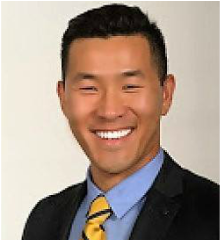 After dental school, Dr. Kuo went to a General Practice Residency at Fresno Community Medical Center and VA where he served as chief resident for 2 years. Dr. Kuo then returned to his hometown and is currently working at Dientes Community Clinic where he used to be patient growing up. 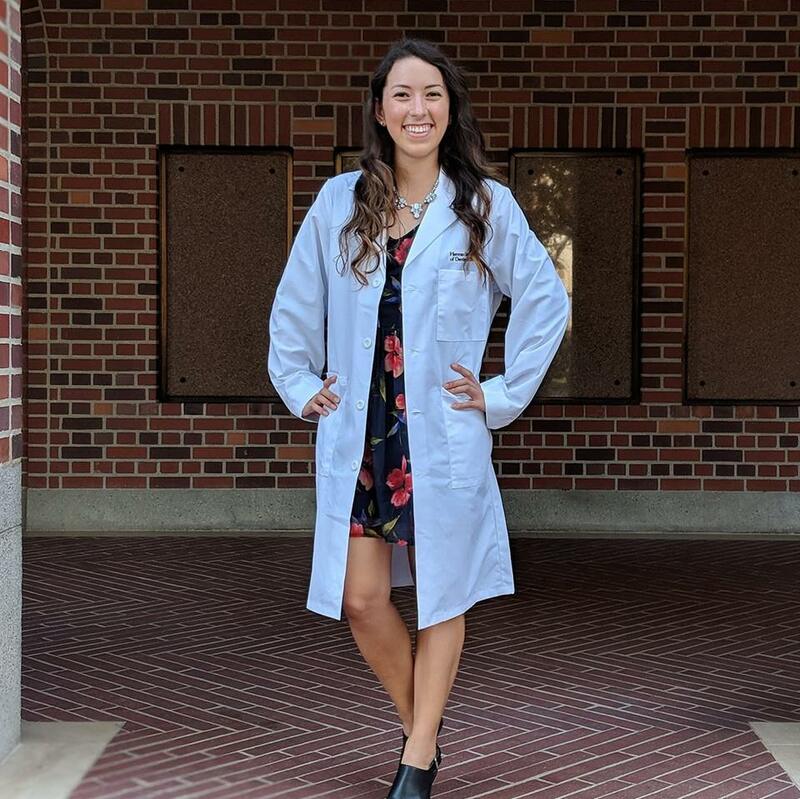 She is a 2nd year orthodontic resident at UCSF and graduated dental school from University of Michigan in 2015, Go Blue! She grew up in Redding, California and received her B.S. in Molecular, Cellular and Developmental Biology from UC Santa Cruz in 2011. She has actively been involved in craniofacial anomaly research throughout her education and is currently doing clinical research studying the effect of maxillary expansion on airway volume in patients with cleft lip and palate. She enjoys treating patients of a diverse background and helping them feel confident in their smiles. As previous President in the 2014-2015 school year, Steven also was involved as as Tech Crew member for College Nine and Ten, acapella singer, and a volunteer barber for the Santa Cruz Homeless Services Center. Both Santa Cruz Homeless Services Center and CDA cares helped foster his passion for providing service to underserved communities while practicing the art of manual dexterity. Steven graduated from College Ten in 2015 and is currently obtaining his D.D.S. degree from the University of Michigan School of Dentistry. He is passionate about helping pre-dental students become the best version of themselves and thereby getting accepted into dental school. Feel free to contact Steven at any time, he is more than happy to help out with classes at UCSC, applications, interviews, and dental school. Go blue! ​Julia graduated from UC Santa Cruz in 2017 with a degree in Molecular Cell and Developmental Biology. In undergrad, she was an ACE co-leader and an MSI leader for several biology courses. She also worked in a molecular genetics research lab on campus and was Treasurer of the Pre-Dental Society. 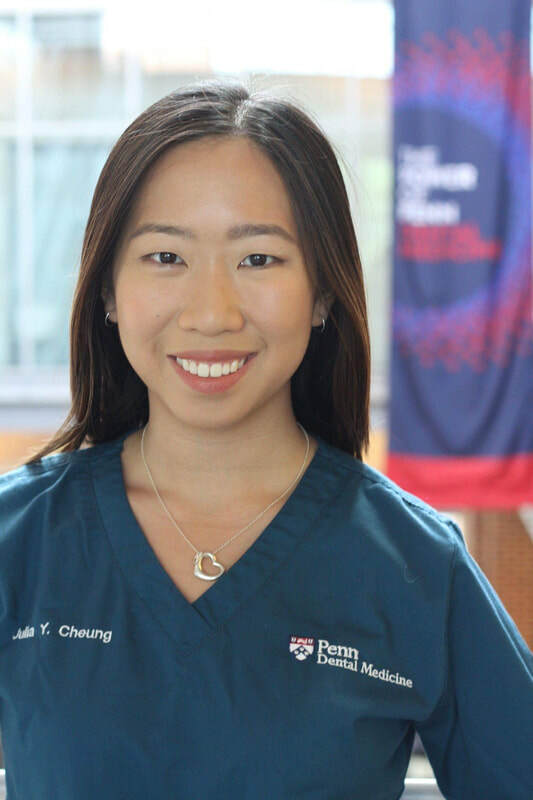 After graduation, she went straight to dental school and is currently a DMD candidate at the University of Pennsylvania. She loves helping other pre-dental slugs with anything and everything from scheduling pre-requisites at UCSC to studying for the DAT and interviews, so feel free to contact her if you have any questions! to many schools and did interviews. Her years at UCSF were very enjoyable and memorable. She even met her husband when they both attended at U CSF and now they both have their own practice in Santa Cruz named Landmark Dental Group which started in 2009 and have two beautiful boys. Their practice has progressively grown and has become a success while she can spend time with her family and travel. Alyssa Neeleley graduated from UC Santa Cruz in 2016 with a B.S. in Neuroscience. Alyssa was an active PDS member for three years and on the board as the Historian and Volunteer Coordinator of Club VIDA -- a club that organizes healthcare mission trips--and served on dental mission trips in Central America. While at UCSC, she also did neuroscience research, worked as a writing tutor, dining hall supervisor and performed with UCSC's West Japanese Gamelan ensemble. ​After taking a gap year, she moved out to Utah to begin her dental school journey at Roseman University. 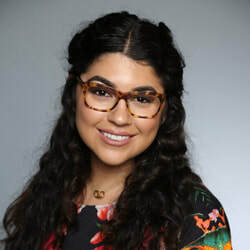 She is on the ASDA Pre-dental Committee and helps organize events to teach pre-dental students about Roseman's program and about the application process, so please do not hesitate to reach out to her with any dental-related questions.